The first time I heard of in-door family sessions I thought, “oh how cool! 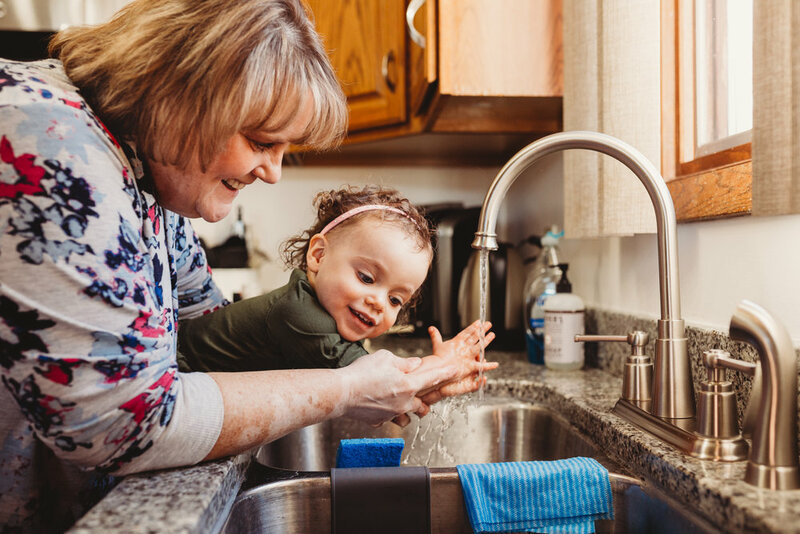 …but not for me.” I immediately started thinking about all of the things I would need to clean first and worried about my house being too small or too dark. 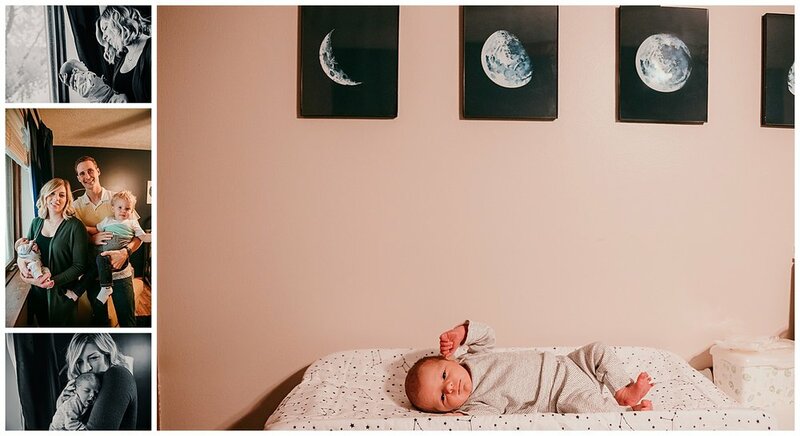 But now that I have had the pleasure of photographing several families in their homes (of all different layouts and sizes), I truly see how wonderful of an idea it is! If you think it’s a cool idea but are on the fence about choosing an in-home session for your family, keep reading! 1. You don’t have to GO anywhere! For anyone who has kids, you know how much hassle is involved in going literally anywhere with your children. At least it is at my house! 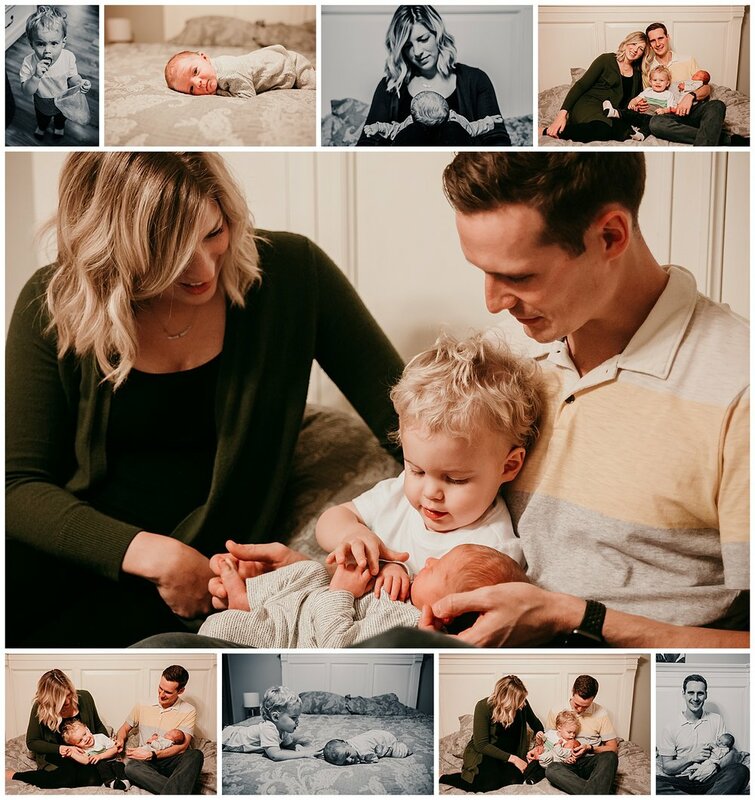 I love that with in-home shoots the families are still pretty calm and collected because they didn’t just have a huge power struggle trying to get shoes on the kids, keep the shoes on, load them in car seats and then get them back out, all while staying picture ready. It’s the absolute worst to be all prepared, in some cases even take off work, for your session, and then mother nature throws a wrench in our plans. Not having to worry so much about the weather is such a great benefit to an indoor session, especially when you live in the unpredictable Midwest! Because home is our safe place, everyone will feel the most comfortable there. Especially the kids! All of their toys are there (and they are usually super excited to show me), the diapers and wipes are an arm’s reach away, that special blankie you would have probably forgotten, spare clothes just in case and a kitchen that’s stocked with snacks and drinks. And let’s not forget, your peace of mind because you didn’t have to pack your entire house into a diaper bag. No one else will have a session at your house. I mean, unless you want to start charging for rentals. You’ll be the only ones with pictures like yours. They are truly for you and only you, special and unique to your family because they take place in the home you have built together. Do you love having family game night or movie night? Do you cook together in the kitchen? Read bedtime stories? Does the baby love bath time? Whatever you enjoy doing can easily be incorporated into your session and really show who you are as a family. It adds even more to your story and really makes for some beautiful images. I’m obviously a huge fan of pictures, and it’s mostly because I love making memories tangible. So many things in our lives get forgotten. Think about the home you grew up in. It’s such a huge part of our childhood, almost like another family member. Your kids will want to look back and remember the color of the carpet in the living room, the kitchen wallpaper or the cool bedspread they got to pick out for their birthday. These things get harder to remember as we get older. Being able to look through photos puts you back in those times and allows us to visualize all of the little things that could have otherwise been forgotten. As I’ve said already, your home is such a huge part of your family. But what makes it so special is the people inside of it. Dad reading stories with those silly voices that bring out the belly laughs. Mom comforting her toddler who thought he was too cool for naps earlier and secretly regrets it. 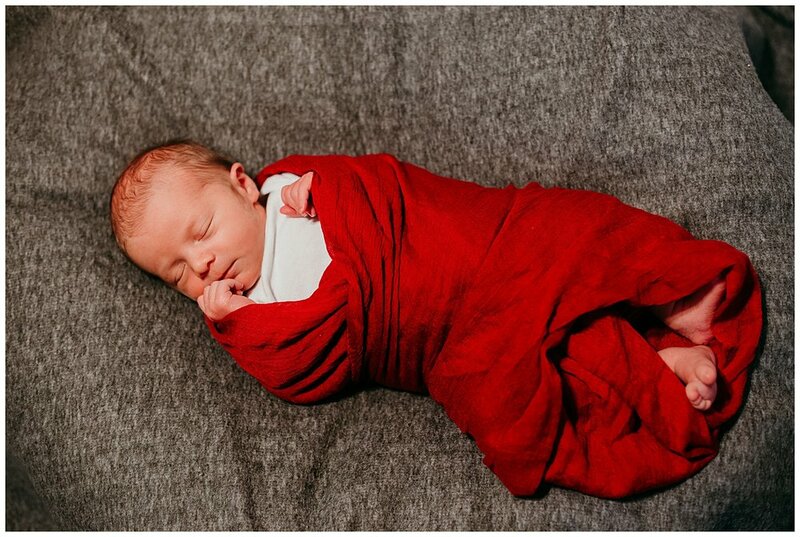 In home sessions make it so easy to capture the moments we truly live for. You know the ones I’m talking about. They are the moments that quite literally take our breath away as we think about how much we love our family. The moments that bring tears to our eyes and make us question how in the world we got this lucky. They are the moments that remind us that while we may not be perfect, we are perfect for each other. Being born and raised in Iowa, I'm never super excited about the snow. Especially this year when it lasted through the middle of April! But for a couple of little girls who were visiting from overseas, it was a much different story! 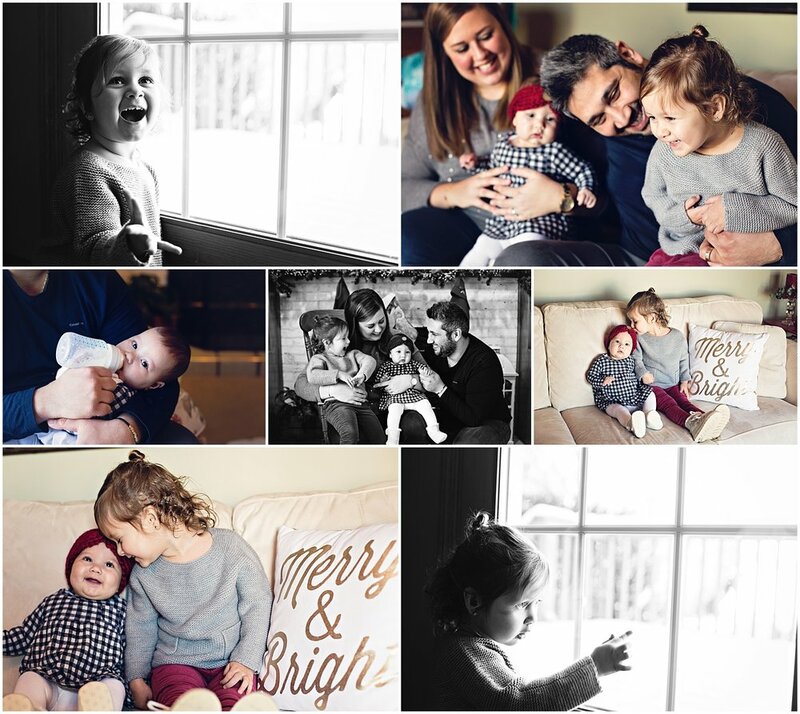 Unfortunately it was WAY too cold to drag this family outside the day they were in Clinton for their session. But that didn't stop their little ones from enjoying the beauty of a white covered world through the sliding glass door. 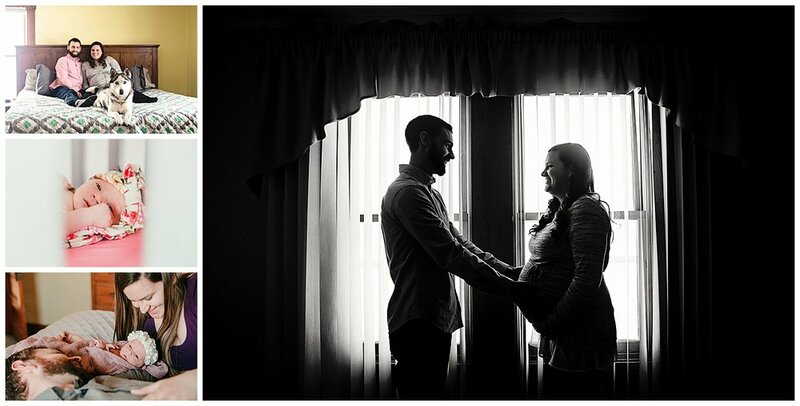 I'll share just a few favorites from their little indoor lifestyle shoot!